Now- a- days the traditional recruitment method has been revolutionized by the wave of internet. E-Recruitment is the latest trend and it has been adopted by large & small-sized organizations. Significance of internet can be seen as searching for best suitable job is just a click away. Even most organizations are already using E-recruitment to post jobs and accept resumes on the internet, and correspond with the applicants by e-mail. E-recruitment or online recruitment is the process of recruiting personal with the use of technology and web based resources. The practice of E-Recruitment has made the process more efficient and effective. In this paper, there will be an introduction on E-Recruitment and also be a discussion on the various importances, disadvantages of E-Recruitment. This paper aims to explore the effectiveness of E-Recruitment and its impact in the organization. Employees are the most important resource of any organization. They are responsible for each and every decision taken, each and every work done and each and every result. Such a kind of employee are been taken carefully by the managers for the success of future organization. But advancement of technologies made much easier for the global HR managers not only to believe on agencies but also they believe on Internet. Holding a tablet or laptop on the hand with internet connection managers can do all activities while they are in roaming too. Today acquiring and retaining the employees is the biggest challenge and internet has proved to be a boon to recruitment process. E-recruitment is a process or recruiting candidates for filling vacant positions in the companies through use of internet. Recruitment plays very vital role in the process of recruitment as it provides a suitable number of applicants who fulfilled the criteria set by the companies. E-Recruitment started in the form of autonomous job sites called bulletin board systems in the 1980s. A new global trend was started in US when Jeff Taylor launched Mnster.com with 20 clients and 200 job openings in 19994. Today more than three-fourth of the Fortune 500 companies use online recruiting and also now people use mobile application for uploading resumes and searching jobs on portals. E-Recruitment has proved to be a very convenient mode for both company and the job seekers as both can upload the necessary details required and can find a suitable opportunity there. E-Recruitment can be understood as recruitment carried out by the use of various electronic means. Online, Internet, or web-based recruiting can be defined as the use of the Internet to identify and attract potential employees e.g. advertising a vacant position and attracting a pool of applicants through corporate websites and Internet job boards. An e-Recruitment system is a back-office system for administrating the recruitment process, and is normally designed to allow applicants to submit their data electronically. E-Recruitment can thus be perceived as an umbrella term covering recruitment activities performed using various electronic means and the Internet, including online recruitment and E-Recruitment systems. E-Recruitment can be divided into two types of uses: Corporate web site for recruitment and commercial jobs boards for posting job advertisements. Corporate websites are a company’s own website a link for job posting/career options where candidates can log into for current openings. If the company advertises its vacant positions on other website that specialize in recruitment such as- naukri.com, timesjob.com, monster. Com, etc., the companies would be adopting commercial job boards for recruitment. Tracking: Helpful in tracking the status of candidate with respect to the jobs applied by him/her. Employer’s Website: Provides details of job opportunities and data collection for same. Job Portals: Like CareerAge, Indeed, Monster, Naukri, Timesjobs, etc. these carry job advertisements from employers and agencies. Online Testing: Evaluation of candidates over internet based on various job profiles to judge them on various factors. Social Networking: Sites like Google +, Twitter, Facebook, Linkedin, etc. helps in building strong networking and finding career opportunities. · To find out how the E-Recruitment process have an impact on organization. · To outline the criteria for effective E-Recruitment. The primary focus of this study is to determine the effectiveness of E- Recruitment program and its impact in the organization. This study is based on secondary data which is collected through books, internet and research papers. Effective management development of human resources has long been acknowledged by both scholars and practitioners as being a key component to the overall success of the business. Recruitment is just one element of human resource management and development; however it is of significant importance to this success as it is the method used to acquire the human capital for the organization. Recruitment and selection is necessary human resource processes initiated by organization where the constant balancing and is to find and retain quality staff that meet the needs of the position and the company whilst minimizing expenditure in the process of hiring manpower. The majority researchers agree that recruitment is not a one-way process, but rather a complex, two-way process. Whilst employers focus on looking attractive to a potential job applicant, the applicant is continues from the initial recruitment process through to the final appointment outcome. Ms. D Shahila (2013) published an article which helps in explaining E-Recruitment challenges covering challenges that are faced by companies while using online recruitment. This article highlights the points like online recruitment is facing challenges from employers and job seekers point of view and covers points like difficulty in finding suitable applicant, competition with competitors for good candidates, negotiation, transparency of system, difficulty in judging companies working culture. Avinash s. kapse (2012) published an article about E-Recruitment which stated that online recruitment has many advantages to companies like low cost, less time, quick, wider area, better match and along with this they have highlighted some points of disadvantages of online recruitment like scrutinizing applications is a problem, lack of internet awareness in India in some places and they said that employers want to have face to face interaction with candidates. Arundhati Ghosh writes about E-Recruitment: The recent trend of recruitment practices and highlights about the recent trend of online recruitment practices and also we can get ideas about how online recruitment can be beneficial for the organizations. This article highlighted benefits of recruitment like cost efficiency, time saving, better scope and wider area of choice, standard way to find a candidate, less use of paper and along with this some of the drawbacks has also been discussed like computer technology, enormous applicants and choice is complex and also candidates are not serious. This article concludes that E-Recruitment should supplement the traditional methods of recruitment. Combining E-Recruitment with traditional methods will make recruitment process faster. Archana L discussed about recruitment through social media area. As online recruitment includes use of social networking for recruitments in companies this articles gives us fact about how use of social networking sites has increased rapidly for staffing purpose in companies. It shows that sites like face book, LinkedIn, twitter, Google are contributing increasingly in recruitment as these sites and 36-505 of the users are college graduates who are best to contact for job opportunities. Social networking is also playing major role in recruitment these days. Smith (1999) had worked upon E-recruitment where he had tried to conceptualize that internet helps employer’s better target prospective employees. The author mentioned that the career web, which small companies may consider expensive, could still be less costly than multiple newspaper ads. Chapman and Webster (2003) in their survey research on the use of technologies in recruiting, screening and selection process for job candidates conducted in USA found that most organizations implemented technology based recruitment and selection tools to improve efficiency, enable new assessment tools, reduce costs, standardize systems and expand the applicant pool. Hadass (2004) in his research on the effect of internet recruiting on the matching of workers and HR managers developed a model of recruitment in which job seekers have private information about their qualification for different jobs and firms possess imperfect screening technologies. He concluded that firms may adopt E-Recruitment strategies because of the direct reduction in recruiting costs and because of competition among HR managers for qualified hires. A research on Internet job search and unemployment durations by Kuhn and Skuterud (2004) had tried to find out which types of unemployed workers looked for work online and whether internet searchers became reemployed more quickly. The authors concluded that internet job search is more common among workers with observed characteristics that are usually associated with faster reemployment and internet job search does speed reemployed. The authors pointed out that, internet job search might significantly improve search outcomes on dimensions such as job quality that they had not measured in their research. • Quick and easy access to information. • Post vacancies automatically onto your own branded website and external job boards. • Reduce hiring delays-fill vacancies rapidly. • Easily identify candidates who have applied previously. • Increase brand awareness by attracting candidates to your website. • Reduced cost, compared to print advertising. • Less or no manual intervention. • Wide range of job opportunities. • Flexibility of internet as an attractive source. known as passive job seekers. • It provides verified and technically good candidates. The utilization of E-Recruitment as part of the recruitment process has been linked to a number of perceived advantages from both an applicant and an organizational view point that are not as applicable to the more traditional recruitment sources. • Organizations can’t solely depend on E- Recruitment. medium to source jobs vacant. • Companies cannot reach job seekers who are not on the web. candidate but not give an interview to a good one. • It is not useful for jobs for which the relevant labour market is local. Because the Internet is accessible to people all over the world, the employer is likely to get swamped with resumes from interested candidates. And unfortunately, many of the applicants responding to the ads are not qualified. Recruiters spend a great deal of time sorting through resumes to discard those that do not qualify for the position they are seeking to fill. Because employers rely upon the applicant tracking system to locate resumes that include relevant keywords, there is a strong possibility that certain keywords in a vast majority of job applicant’s resumes are exaggerated. Therefore, recruiters are deceived into calling applicants for interviews that do not meet the job requirements. This is a waste of time, for both the applicant and the employment recruiter. Nonetheless, some job seekers who have been unemployed for a great length of time are really desperate for an interview that could hopefully land them a job. It’s difficult for a company recruiter to determine whether or not an applicant is the right fit for a job without meeting him/her face-to-face. A candidate can have all the right credentials on paper but still may not have the right character for the company. The most effective way to determine if an applicant is suitable for a particular job and right fit for the company is to meet with him/her face-to-face in an interview. Occasionally, human resource representatives fail to remove old postings for positions from the website that have been filled. Sometimes this is due to miscommunication between the hiring manager and HR or a glitch in the system. Recruiters get swamped with resumes for jobs that are no longer open. However, employers will continue to get flooded with resumes from interested applicants until the posting is removed. • Companies use the E-Recruitment process for simplifying the selection procedure. To make the process effective, the organizations should be concerned about the Return on investment (ROI), which should be calculated to compare the costs and risks involved. It helps in calculating the benefits and measures the estimated return on investment. • In the era of globalization, the recruitment policy should be flexible and proactive, to adapt market changes. • Unemployment rate, labour turnover rate are to be considered. Remember, the whole process of recruitment depends on the availability of candidates in the market. For every vacant position in the company, it is not viable to spend too much of time and resources. • Impact of availability of compensation details in the job advertisement should be considered. Also, the wage, salary, benefits, when disclosed online, should follow the legal norms. Chance for negotiation will not arise. • Precautions to be taken while screening the resume online, keywords that discriminates gender, age, religion to be avoided. • Company should be selective while choosing the site for posting the job advertisement. It should be clear whether to post the advertisement on company’s own website or on a job portal available. It has been correctly said that recruitment is not only about hiring the best rather it’s the question to enroll the right candidate in organization. E-Recruitment has changed the way jobs are applied for and has become so simple that anyone can do it. The whole world has become “smaller” with the use of the Internet and everything is made easier for better application. E-Recruitment helps organizations to be equipped with competent staff and thus it is linked with many HR activities of organization. E-Recruitment has proved to be important part of the recruitment strategy. This study has explored the effectiveness of using E-Recruitment in organizations. Online recruitment is also effective in terms of managing talent process that is also considered effective. It has also found that E-Recruitment will likely to grow in coming years. E-recruitment has provided some remarkable benefits in terms of cost and efficiency. Anand J, Dr. Chitra Devi S. The impact of E-Recruitment and challenges faced by HR Professionals,ISSN print: 2391-7500, ISSN Online: 2394-5869. 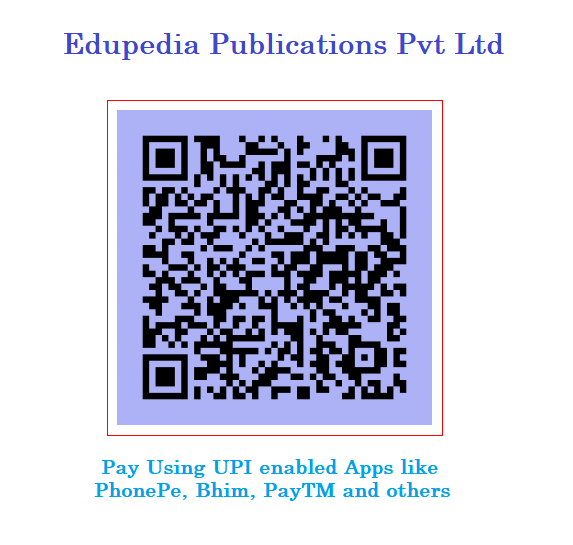 Avinash Kapse S, Vishal Patil S, Nikhil Patil April V. E- Recruitment, International Journal of Engineering and Advanced Technology ( IJEAT) ISSN: 2249-8958 2012; 1:4. Chapman, D. and Webster, J. (2003),“The use of Technologies in Recruiting, Screening and Selection Processes for Candidates” International Journal of Selection and Assessment, Vol.11, No. 2/3, Pp.113-20. Dr. Bhupendra Singh Hada, Swati Gairola, Opportunities & Challenges of E-Recruitment, Volume-2, Issue-2, Apr.2015, ISSN: 2394-8124 (Online). Dr R. Ramaabaanu & M. Saranya, Importance and Problems of E-Recruitment, International Journal of Research (IJR) Vol-1, Issue-9, October 2014 ISSN 2348-6848. Kuhn, P.J., and Skuterud, M.,(2004), “Job Search and Unemployment Duration” The American Economic Review, Vol.94, No.1, pp218-232. Masese Omete Fred, Dr. Uttam M. Kinange, effectiveness of E-Recruitment in organization development, Management and Economic Journal ISSN; 2456-2661. Ms. D Shahila, “ E-recruitment challenges” International Journal of Social science & Interdisciplinary Research IJSSIR, Vol. 2 (5), MAY 2013, PP.118-12.